We'd like to welcome you and your family to a&o! We provide comfortable and family-friendly accommodation for you and yours, all with our a&o best-price guarantee of course! Regardless of whether you’re travelling with just one child or as many as eight, we’ll provide the right accommodation for you. And when it comes to mealtimes you can’t go wrong with us either: why not add our generous breakfast buffet, packed lunches for when you’re out and about, and delicious dinners to your booking. And if you still need a little bit of inspiration for activities with the whole family, be sure to ask our reception staff for some advice. Children up to 18 years of age can stay for free at a&o Hotels! We take pride in being child-friendly at a&o. If you want to book a room for your family at a&o, simple select the room category “Family room”, which can accommodate 4 to 6 persons. Family rooms have up to 8 beds in some of our hotels. And best of all: children up to 18 years of age get to stay for free at a&o Hotels! The room price is calculated based on the number of adults travelling (legal guardians). Our guests can also avail of other discounts, for example, if they are a member of the ADAC – the German automobile association. Multi-bed rooms are linked by a connecting door, for example at the a&o Hotel Prague Rhea. This way you always have your kids close by, without the need for an extra room key, and all the while you as parents can enjoy some privacy for yourselves. Children always need to be kept occupied. a&o provides a host of things for kids to play with, for example in the Kids‘ Corner with toys, colouring books and children’s books, crayons, and much more. On top of that, you have traditional favourites such as tabletop football, card games, and pool to entertain both young and old alike. Some of our hotels also have slides and playhouses for kids to romp around. In selected cities, you can approach our reception staff and enquire about booking a babysitter from our babysitter network. We do not offer this service ourselves. A family trip doesn’t have to be expensive. At a&o you can expect hotel quality at low prices. We place particular emphasis on the needs of young and old, so that your stay at a&o will be relaxing and comfortable for the whole family. In addition to providing cosy accommodation and a large number of services for families, you can be safe in the knowledge that out trained staff will be quickly on the scene in the event of an accident and know how to respond in such situations. Furthermore, we ensure peace and quiet at night so that you and your kids can get a restful night’s sleep. As a hostel, we offer all the necessary amenities to cater for every possible requirement you might have when visiting with children. We make sure your trip is as pleasant an experience as possible. In addition to enjoying our comfortable family rooms, you can also use our wide range of convenient appliances and services such as washing machines, which comes in especially handy for families with kids. Even if the little ones’ clothes tend to get dirty very quickly, you can also wash them in no time, all of which means less packing for you. And our guest kitchens ensure a maximum of flexibility for your holiday meals. Use a&o’s guest kitchens to make porridge and other dishes for you and your children without spending lavishly. At a&o, you’ve come to the right address for your family holiday! 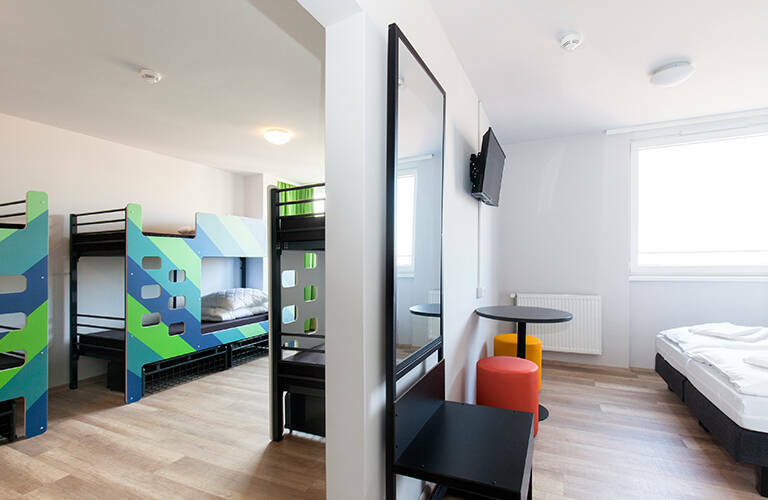 With well-equipped, modern family rooms, cosy double-beds for couples, and comfortable bunk beds and cots for the little ones, you’ll find space for everyone! Relax with the entire family in one of our dorm rooms with a flexible number of beds, which are now furnished to modern standards in many of our accommodations, and enjoy hotel-quality service during your stay at a&o! Whether you’re visiting with a small or large family, our accommodation will surely suit your needs, with all the facilities to make your family holiday a success. Please contact us if you have any questions or require assistance when booking! When staying at your a&o Hotel, you can look forward to everything you need for a great family holiday. Starting with accommodation that caters for children, for example, we provide cots for the littlest ones, not to mention our fantastic breakfast discounts, and of course the option for parents to cook their own meals for their kids in our guest kitchens – at a&o, we offer many child-friendly services to ensure a great family holiday with lots of fun! When booking a room for your family, parents usually have the option of a room with double-beds. You can also add bunk beds for kids and youngsters or adjustable cots at our a&o Hotels with minimum fuss. Comfortable beds, televisions, and high-speed Wi-Fi await you at a&o – all at an unbeatable price! We are modernising all our a&o Hotels and Hostels; now, many of our locations already feature the modern a&o design. The inviting, two-metre long bunk beds provide plenty of space for kids and teenagers to relax. And doesn’t every kid get excited about bunk beds? On top of all that, our equipment is safe (high railing to protect from falling), modern, and it looks the part, too! Travelling with your baby requires a lot of flexibility and proper furnishings, to ensure that the youngest member of your family is always kept in good spirits during the trip. Baby equipment like kids’ chairs can be borrowed for free. At least two cots are available for free at every hotel. Simply let us know when you arrive! At a&o, you can add a note to the comment section when booking online. Please inform us that you’ll be needing a cot during your stay. Our a&o Hotels provide you with hotel quality and ideal accommodation for families in many European countries. Comfortable beds and rooms with showers and toilets, self-catering options such as our guest kitchens, not forgetting our snack bar, parking facilities, and our Kids‘ Corner – these are just some of the services we offer our guests. Some of our accommodations also offer dorm rooms which are particularly interesting for families – they have access doors through which you can enter your family’s second room. No extra room key needed and parents can enjoy some privacy for themselves. a&o also allows families to travel flexibly and affordably! Spend a weekend away with the family for only €59 per night, sampling a new a&o Hostel every year! This offer includes our generous all-you-can-eat breakfast buffet for all members of the family, a family room for 4 or 6 people, plus adjustable cots, high chairs, and chamber pots upon request. The highlight of the family weekend is our kids’ party with exciting activities: bouncy castle, arts and crafts corner, children’s disco, and barbecue evening including soft drinks. * And of course, you are more than welcome to extend your stay to enjoy spending some more time with us. 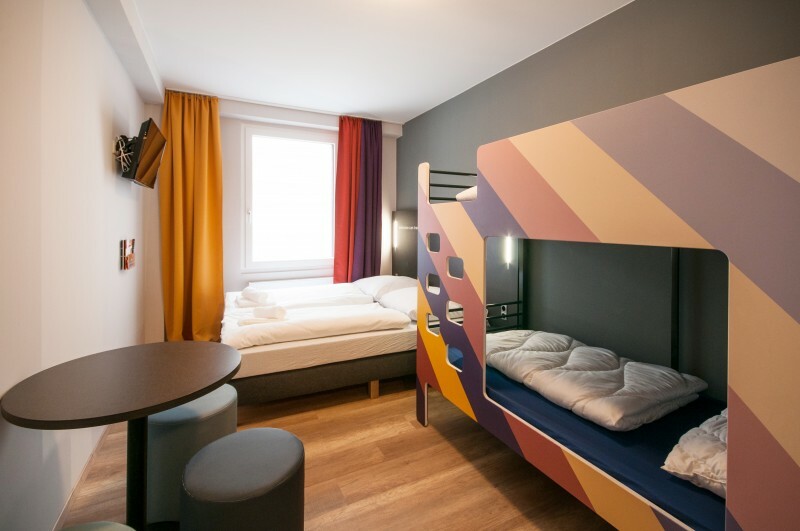 Our 4 a&o Hotels in Berlin provide families with affordable accommodation in a central location! 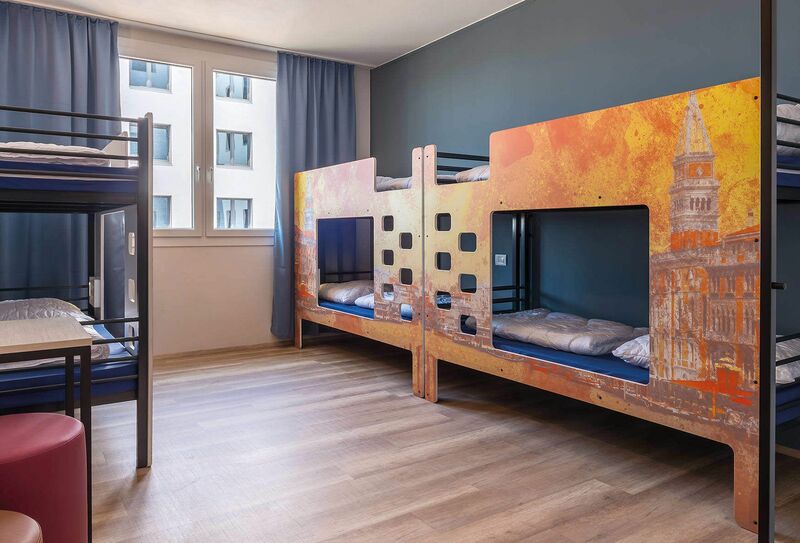 Whether you’re staying at the a&o Berlin Friedrichshain (the very first a&o Hotel), a&o Hauptbahnhof, a&o Berlin Mitte, or a&o Berlin Kolumbus – each of our locations will make you and your family’s time in the German capital a trip to remember full of relaxation. Start the day by enjoying our rich and varied breakfast buffet, which is free for kids up to 6 years of age, and available to children 7 and over for just €3.50. 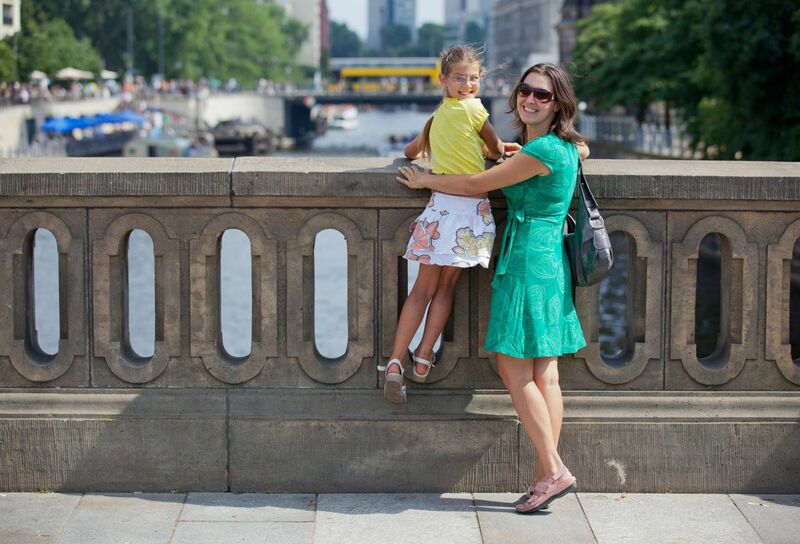 Discover Berlin and stay the night at one of our a&o family hotels! 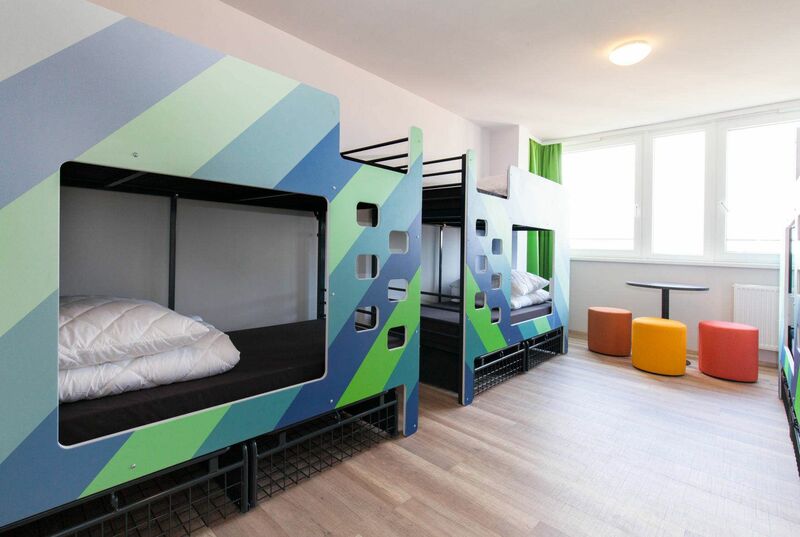 Find out more about our a&o Hostels in Berlin! The Czech capital is an attraction for young and old: Prague Castle, the Baroque buildings, and the Vltava river leave a lasting impression on both adults and children alike. Book your stay at one of our two a&o Hotels in Prague and discover the “golden city” by boat, for example, or try one of the city’s famous and delicious doughnut ice cream cones! At the a&o Hotel Prague Rhea and a&o Hotel Prague Metro Strizkov, you and your family will feel right at home – the perfect base for your Czech adventures. 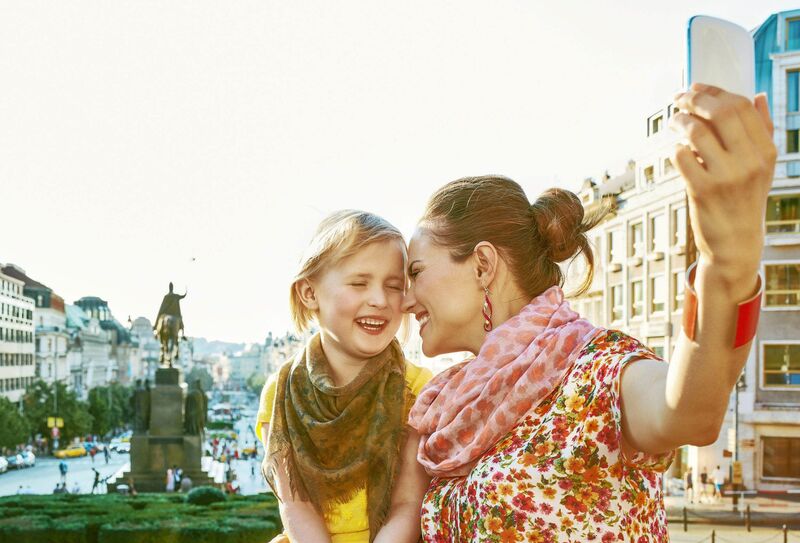 Book your family room in one of the a&o Hotels in Prague today and enjoy your family holiday! 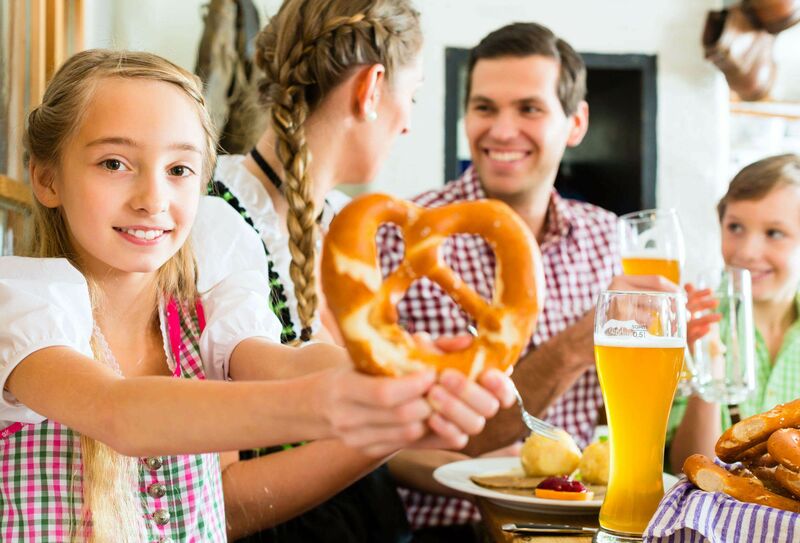 Are you and your family planning a trip to the Bavarian capital? Then book your family room at one of our a&o Hotels! 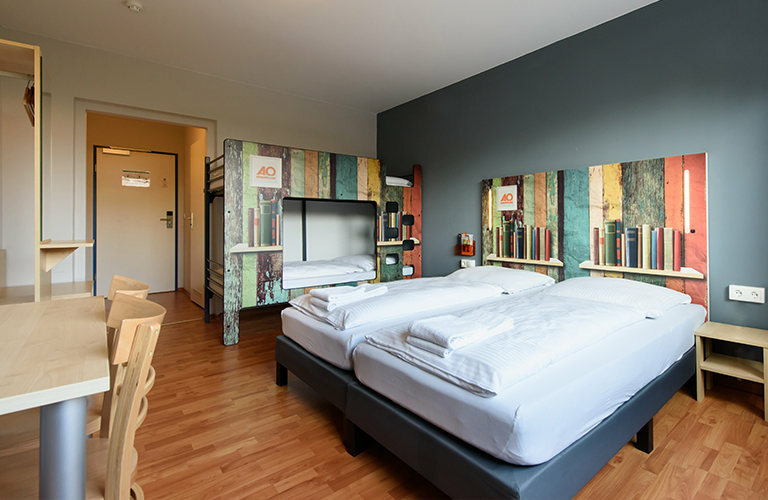 You can choose between the a&o Hostel München Hackerbrücke, a&o Hostel in München Laim, and a&o Hostel at Munich Central Station (München Hauptbahnhof) – regardless of which accommodation you decide to stay at, you’ll always get the a&o best-price guarantee for your family room! Book your family room today and enjoy an affordable stay in beautiful Munich! 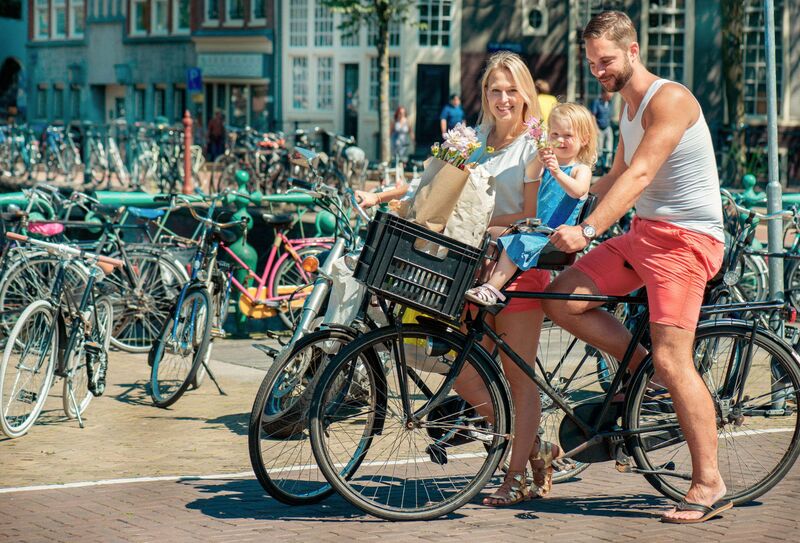 A trip to Amsterdam is especially exciting for the younger ones: the canals and quaint Dutch charm of the bicycle city leave a lasting impression. Our a&o Family Hotel Amsterdam Zuidoost is a great option for families: you and your kids get everything you need to tackle your holiday adventures at an affordable price and with good transport links! 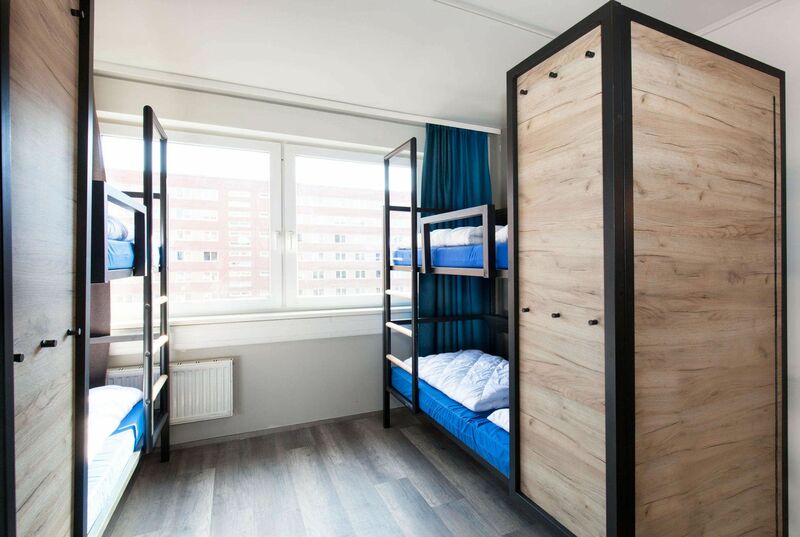 Book your family room at our a&o Hostel in Amsterdam Zuidoost today and spend your travel budget on exciting activities rather than expensive accommodation! The city of canals and gondolas is a pretty expensive place – every cent you can save is welcome. 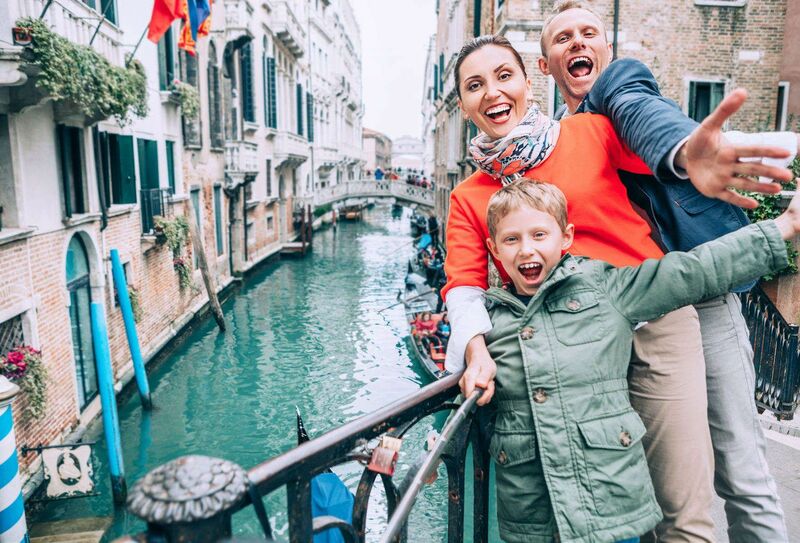 A stay at our a&o Venezia Mestre is ideal for families who prefer to watch their purse strings while on holiday and spend their travel budget on exciting family activities. Children up to 18 years of age can additionally stay for free with their parents. On top of that, enjoy our many services such as breakfast, high-speed Wi-Fi, and guest kitchen for an affordable stay for families in enchanting Venice! Book your family room at the a&o Hostel Venezia Mestre today!